The MPU-6050 is a very accurate accelerometer and gyroscope all combined on a single chip. This sensor is used in Ardupilot autopilot. The MPU-6050 is a very accurate accelerometer and gyroscope all combined on a single chip. 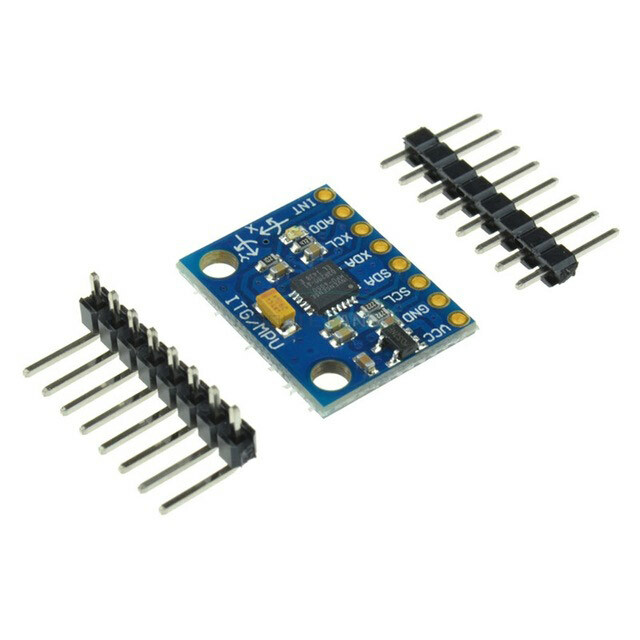 This sensor is used in Ardupilot autopilot. The sensor contains a 3 axis MEMS accelerometer and a 3 axis MEMS gyro in a single chip. It is very accurate, since it contains 16-bits analog to digital conversion hardware for each channel. Therefore it captures the x, y, and z channel at the same time. Also, it is accurate because you have the 3 axis gyro and 3 axis accelerometers on single chip so you do not need to align them. The sensor has a “Digital Motion Processor” (DMP), also called a “Digital Motion Processing Unit”. This DMP can be programmed with firmware made by invensense and is able to do complex calculations with the sensor values. Input Voltage: 2.3 – 3.4V. Digital Motion Processing™ (DMP™) engine offloads complex MotionFusion, sensor timing synchronization and gesture detection.